Why Choose Fitted Kitchen Design Nottingham For Your New Bespoke Room? Fitted Kitchen Design Nottingham still maintains its position as the leading supplier and installer of high-quality kitchens in our area. Our clientele comprises not just retail but trade customers as well. We value the fact that the customer comes first and it’s for this reason that we have designed our services to meet and exceed your expectations, right from the initial consultation and design to manufacturing and installation. 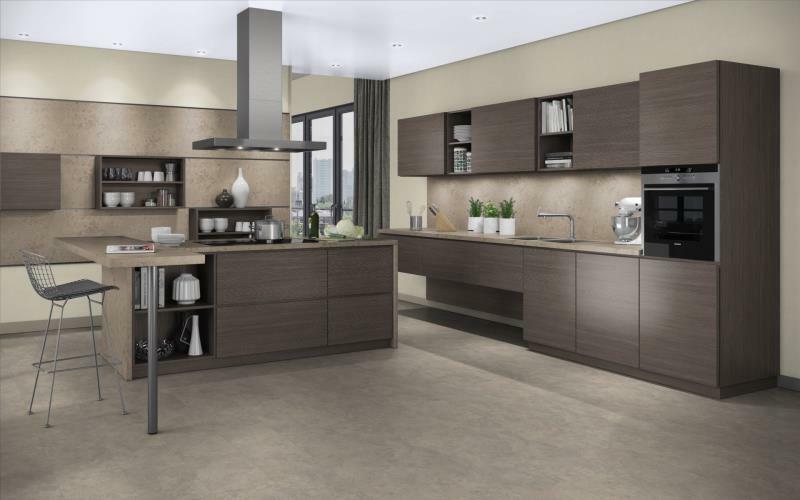 Each kitchen definitely has its specific requirements and our experienced designers and manufacturers can bring the kitchen of your dreams to life. Thanks to our versatility and skill, we are able to serve clients from different fields. Just to name a few, we can serve highly commercial enterprises such as five-star hotels, sophisticated modern apartments and suburban homes. 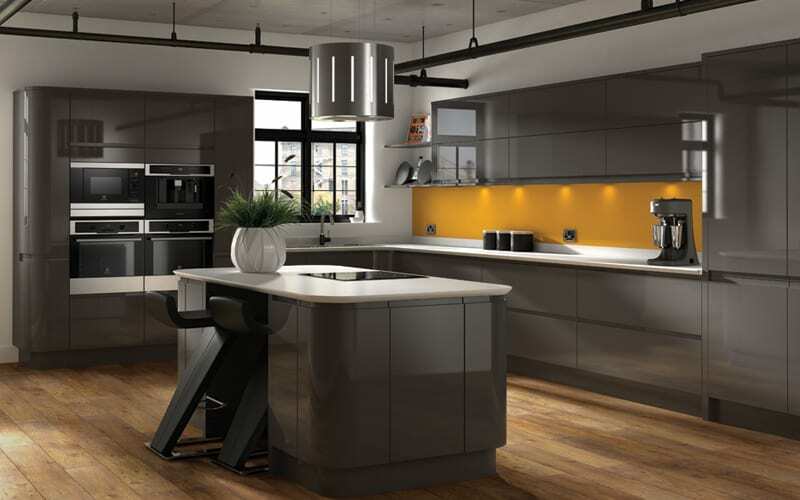 Our confidence lies in our proven ability to offer quality and premium kitchen designs that suit all budgets and multiple lifestyles. 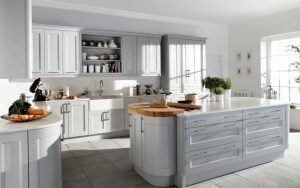 We always put in the time, effort and every skill required to put out detailed designs and unique solutions that fit every kitchen’s requirements. 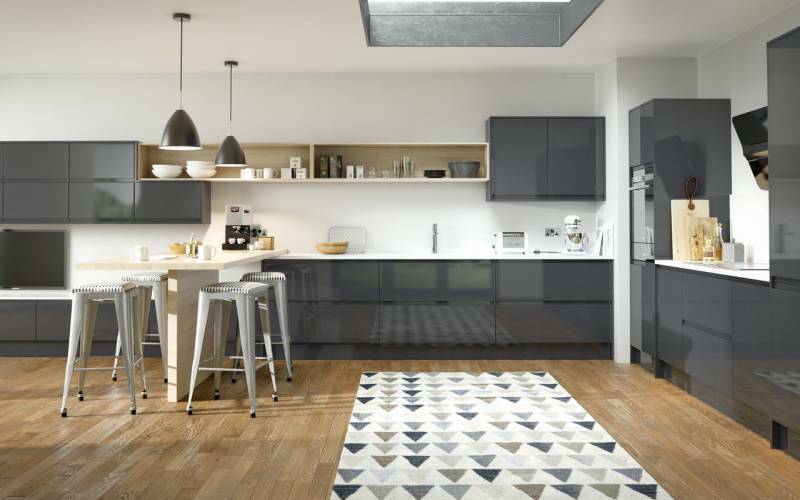 To help you get a clear understanding of what we offer when it comes to kitchen designs, we have compiled a collection of everything right from traditional and classical to contemporary and of course the ultra-modern. Just browse our website and you’ll be able to view them. 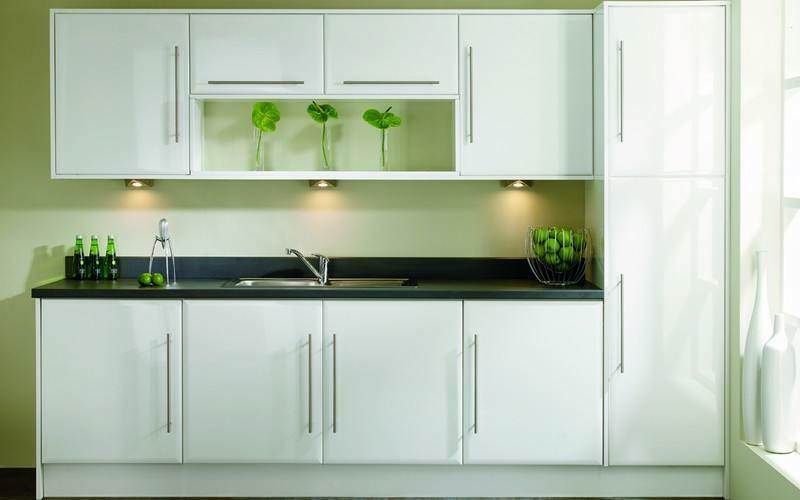 Fitted Kitchen Design understands your needs and we are always ready to listen to you. So give us a call anytime if you have any inquiries or other concerns and we’ll be happy to discuss them and offer you the best solutions.
" 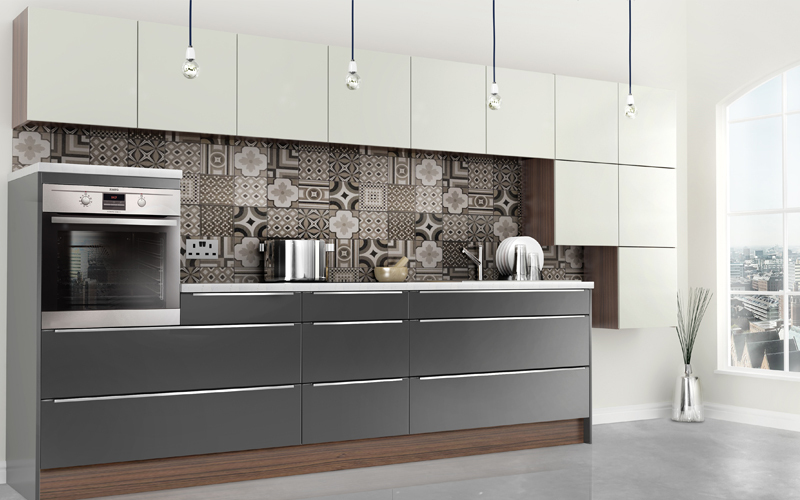 Good kitchen design is not just an option, it is the most important part of your project. To maximise the available space in a way that improves efficiency, and at the same time deliver a room that is the focal point of your home". The fitter they assigned to us did a fantastic job in ensuring all the work is completed on time and to our satisfaction. Overall, their products and services are unrivaled and we look forward to working with them in future and even referring our friends to them. Everything including delivery and installation were done on time just as we had planned. Fitting too was done to perfection. Thanks to their after sale services, the very little hitch I found after installation was quickly corrected. 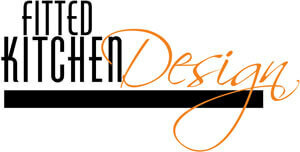 Put simply, I enjoyed the services from Fitted Kitchen Design and I would recommend them to anyone. 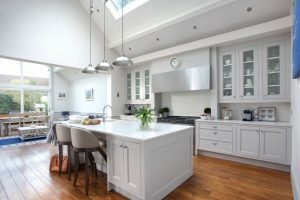 Right from when the project started all the way to completion, Fitted Kitchen Design seemed to have all their attention focused on details and I have to admit this was really great. I was also lucky to work with an experienced designer who shared really great ideas and stayed patient until we had figured out how we wanted the kitchen to look. After checking a number of good reviews about them online, we decided to try out Fitted Kitchen Designs. Honestly, we are pleased beyond measure with our newly designed kitchen. We can’t just compare it to anything else. Even though we briefly disagreed with them over the plumbing units which we came to sort out later on, all through the process we had it easy with them and would definitely recommend. 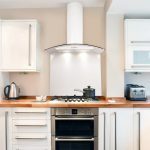 Why Do I Need A Cooker Hood? 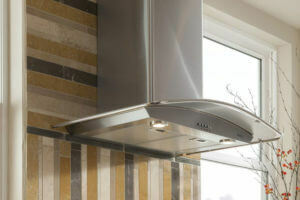 Every kitchen deserves good ventilation. In fact, building regulations insist that any building should have a way of ventilating itself. 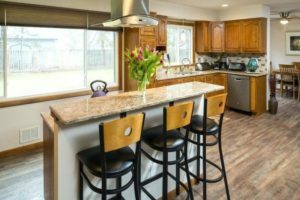 You may not have thought much about it, but as a homeowner, note that your kitchen is one of the rooms where proper ventilation is required and not just for the sake of your health and that of those around you. Just like everything else, taps too have evolved and they are no longer a basic tool that simply let you have your cold water anytime. 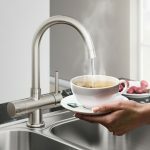 Today, many come bearing different unique designs and finishes and very recently, they’ve been equipped with the ability to instantly release hot water. 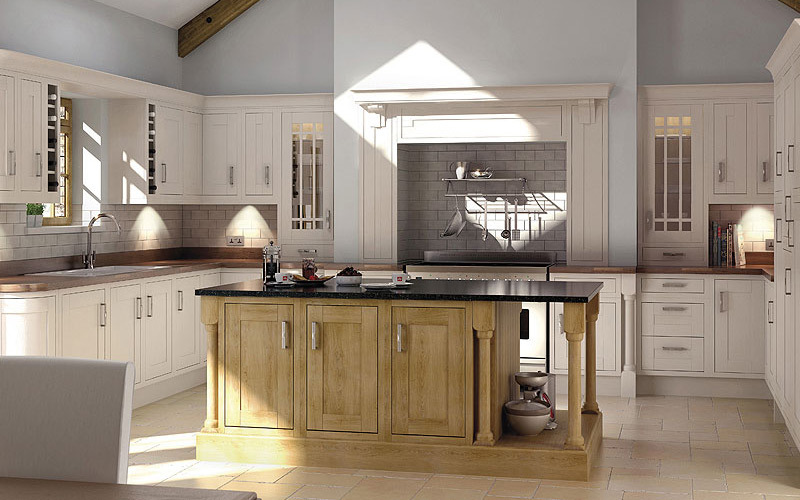 Being one of the most significant rooms in a home, a kitchen needs to be just as elegant as it is practical. Anyone planning to get themselves such a kitchen should realize that the process has its challenges. 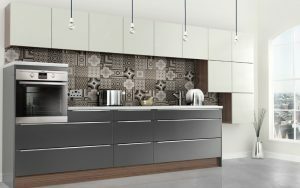 Designing a small kitchen requires that you take into consideration functionality, layout, space, appliances, lighting and other elements so that the result is a kitchen that encourages efficiency while offering a safe working environment. 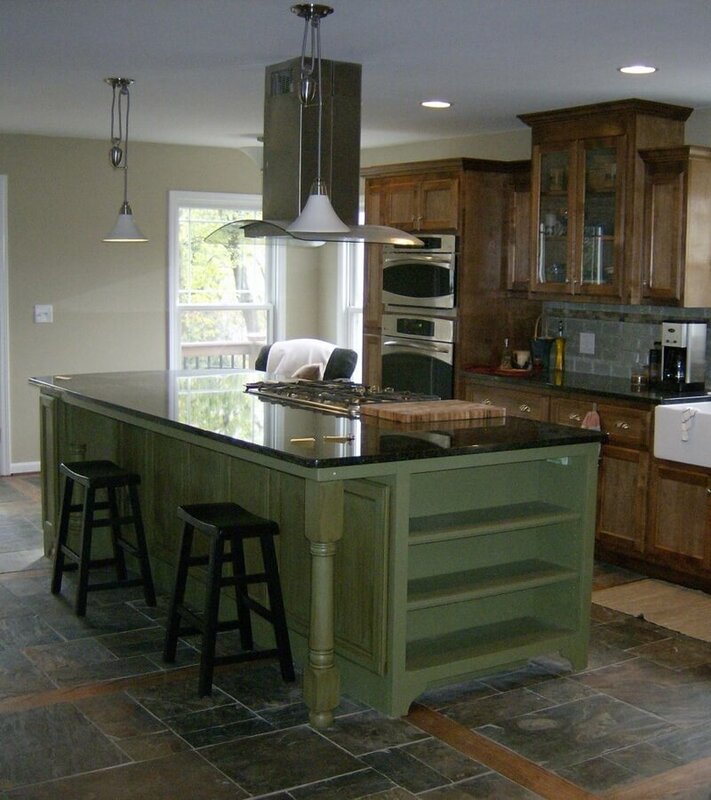 Several years later, kitchen islands are still a trendy thing in kitchen design. It doesn’t matter whether you are planning a new kitchen or remodelling your current one, incorporating a kitchen island is something you should really consider. 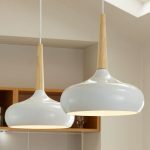 Many relish them for their functionality but in recent years, there has been a remarkable change in their styles and designs and this has made them almost a must in any modern kitchen. 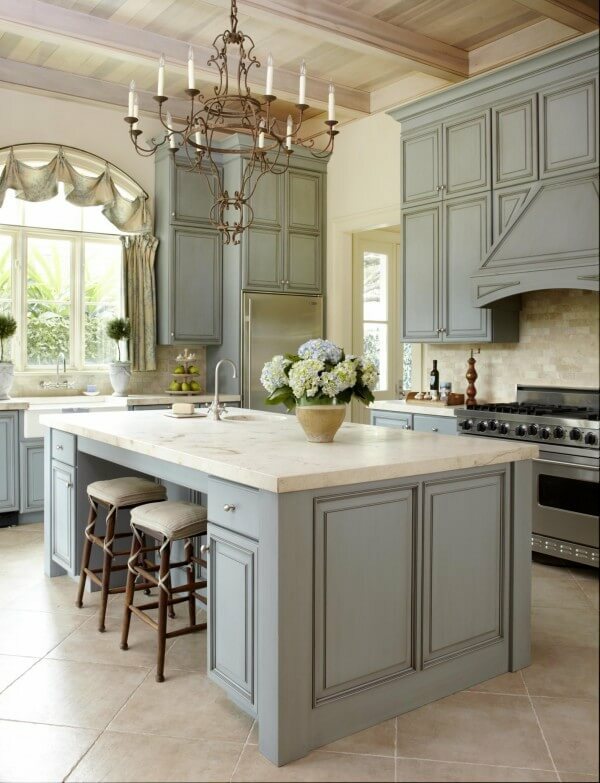 Of the many things that influence the overall design, feel and look of the kitchen, kitchen lighting comes on top. Unfortunately, not many people pay attention to this yet it’s so crucial in the journey to having a kitchen of your dreams. Your home deserves an elegant kitchen for various reasons. Many think of a kitchen as the heart of a home and this is because the majority of the daily activities in a home take place in the kitchen. It’s also where memories are made and so its condition should really matter us. Should Kitchen Cabinets Go To The Ceiling? Unlike times before, there’s a lot you can do these days to change how your kitchen looks. One of them is taking the upper cabinets to the ceilings. Many people, however, aren’t exactly sure how to go about it. 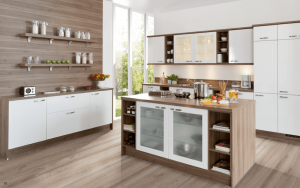 Now, whether you are reconfiguring your existing cabinetry for a fresh look or creating a brand new kitchen, cabinet colour, organizational features, and layout are some of the things you will have to deal with. 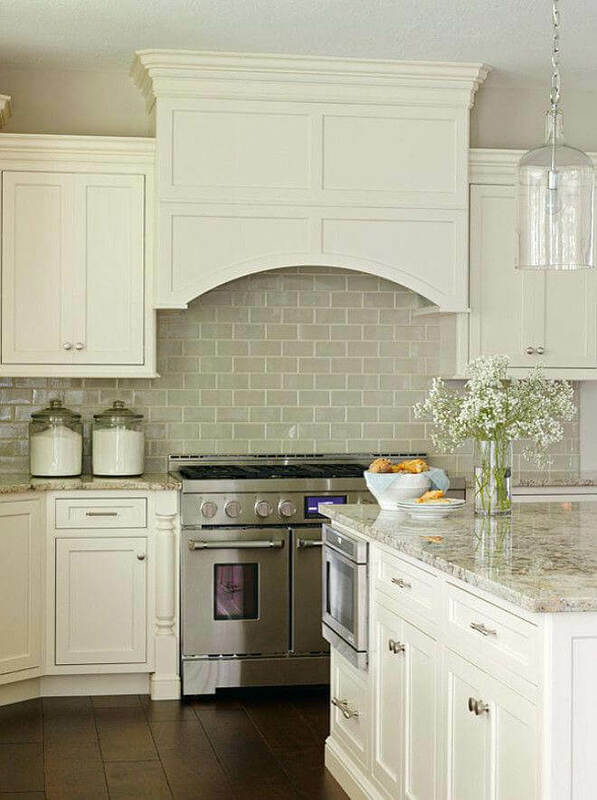 Is it better to place tiles under the kitchen cabinets? 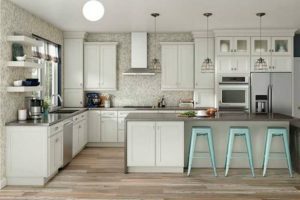 Maybe you came across this question in a forum or a friend suggested that you consider it or you simply want to experiment with a few things as far as remodeling or designing your new kitchen is concerned. Whichever the case, the approach to this is pretty much the same. To raise the value of a property, especially when planning to resale it. To suit one’s taste tastes and preferences or other priorities. How long do kitchen upgrades take? 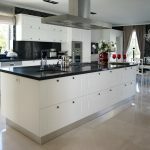 The amount of time it takes to upgrade or install your new kitchen will depend on the size of the kitchen, work involved, and the complexity of the job. 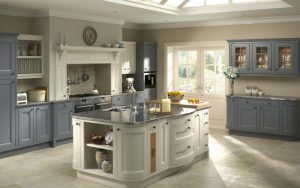 Naturally, the average it takes to renovate or install a new standard kitchen is between 2 and 8 weeks. Do you supply kitchen products? 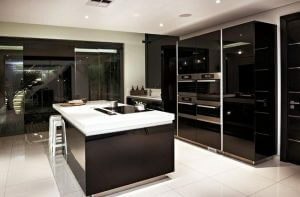 Yes, we supply all the kitchen products required in the kitchen remodelling or installation process. And seeing that many of our previous customers have been satisfied with the products we use in their kitchen, we’ve chosen to only work with top brands because of the unrivalled product quality. What types of kitchen services do you provide? 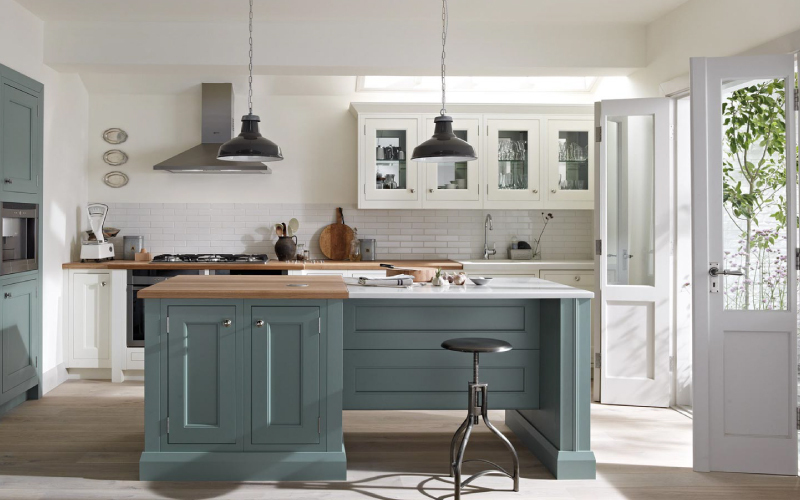 You can learn more about what we offer by talking to us on 01157 365866 or sending an email to info@fittedkitchendesign.co.uk or filling in our contact form. Are your kitchen services inclusive of other services such as plumbing, painting, lighting etc.? 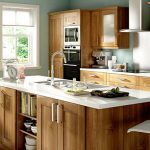 Yes, our team comprises all experts in all other services that are involved in the kitchen remodelling and installation process. 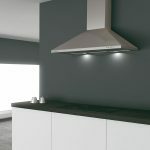 You can be sure that each component of your kitchen that relates to lighting, plumbing, painting, electrics and so on will be done to perfection. After we reach an agreement, how soon can I expect the project to begin? 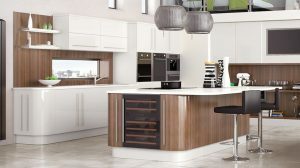 Provided you are comfortable with the kitchen designer’s plan and they have your approval, our team of seasoned experts will get down to work immediately and ensure the kitchen of your dreams is delivered on time. Are there dedicated tasks that I can cover so as to reduce the project cost? Yes. 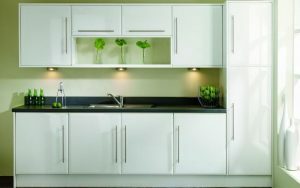 As always, we take into account all tasks that are involved in the kitchen installation and remodelling process for pricing purposes. However, we can dedicate some tasks over to you that will help bring the cost down. This includes tasks such as demolition. Also, we’ll share necessary advice on how you can go about such tasks. Yes, our insurance coverage includes general liability and workers compensation insurances. Do I have to make any preparations before the remodelling process starts? Yes, we suggest that for the sake of safety and to avoid any delays, you empty your entire cabinets and clear your kitchen. Also, keep your foodstuffs and other kitchen stuff in a secure place.